Solve your chimney problems with one quick phone call! Our team provide free, no-obligation quotations to keep your mind at ease, as we discuss your issues in detail. Chimneys are often neglected, and if a problem arises, it can prove both costly and dangerous. Our team ensure that your problem is solved, as we repair and repoint chimneys for clients within 40-miles of our location in Portsmouth. 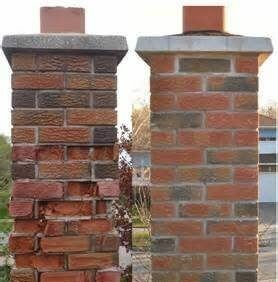  Resealing of chimney pots.  The repair of point work or mortar.  Fitment or repair of cowls and vents.  The repair or replacement of leadwork.  A full refit of the entire stack. It’s important to choose a trusted specialist that completes your project in a safe and secure manner. That’s where we come in. Our satisfied customers regularly leave testimonials, which we use to further improve our services. Contact our professional team, in Portsmouth, to find out more about our repairs and repointing services.